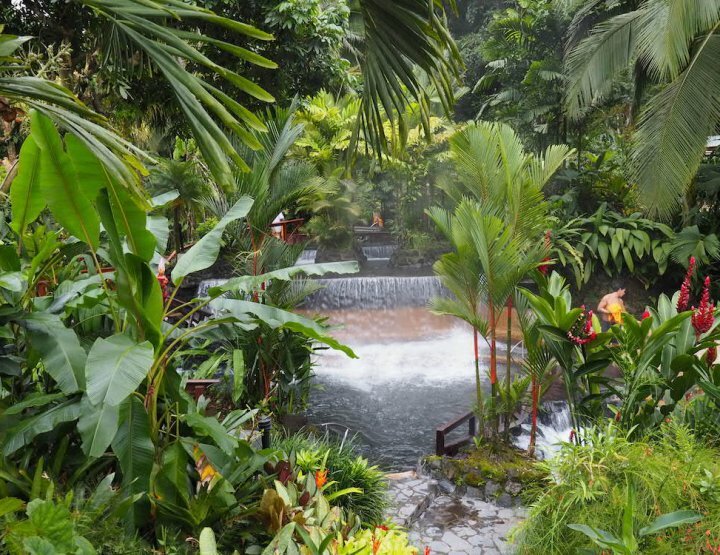 Being a travel blogger for a job looks like a pretty sweet deal right? 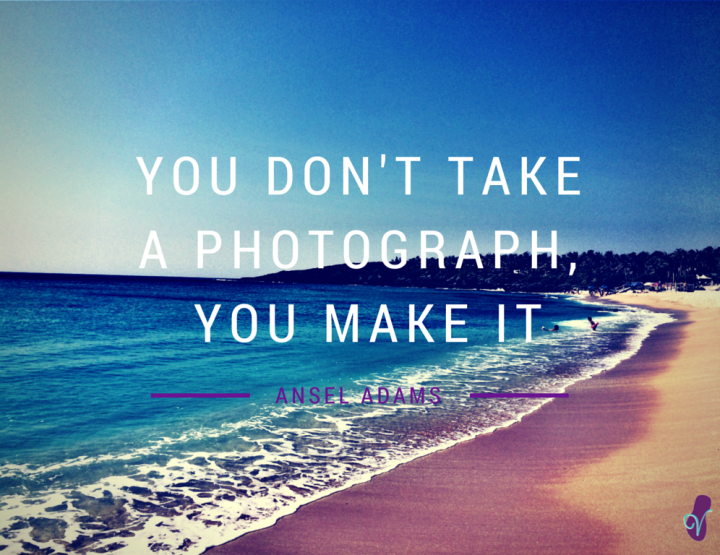 Get to travel, see the world, call your own hours, meet cool people, be creative – yep, love it! 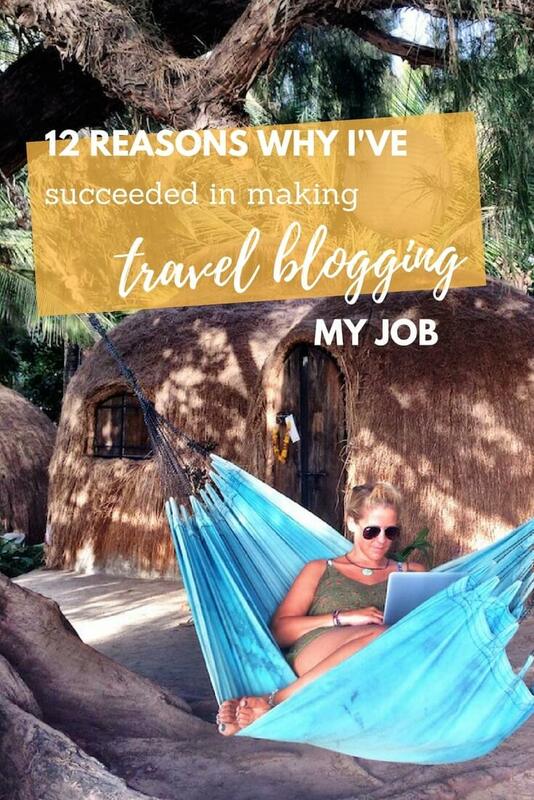 Well, I wrote this post – 7 Ways I Make Money Travel Blogging – a few years ago now, so I thought it was time for an update, with a little spin. 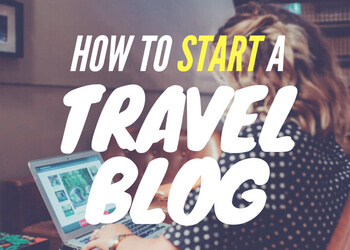 I love the fact I have my own business, that I’m an entrepreneur and have fun doing it, so I hope this post will help any wannabe travel bloggers to start, or improve, their travel blogging empire too. I genuinely love blogging, and travelling, I’ve struggled recently with my attention span and comparing myself, but I really do love it. I love writing, putting all my articles together, the organisation, and the friends I’ve made. I love getting and answering comments and emails, and I love the fact I’ve inspired people to travel when they wouldn’t have before. – Always working! Not really, I was totally posing here. If you want to make travel blogging your job you need to have a genuine love for travel, and for writing about it. I know a lot of people go into travel blogging now to make money, but I just don’t see how that’s sustainable. It’s hard to make money from travel blogging – having a genuine love for what you’re creating will help get you through when the money isn’t showing the appreciation. Even if I wasn’t making money through my blog I’d still have it, in some form. A lot of my friends think I don’t work, that I just swan around the planet drinking coffee, taking photos and a having a lovely time. In actual fact, I do work, I just work smart, thanks to Tim Ferriss. He has been a huge figure in my adult life, and he doesn’t even know who I am. I’ve never even met him. The lessons I learnt in his book The Four Hour Work Week have stayed with me since I first read it back in 2013. I can honestly say, this book changed my life and I can’t recommend it enough. I love Feedly. It’s a way to aggregate all your favourite blogs in ones place. 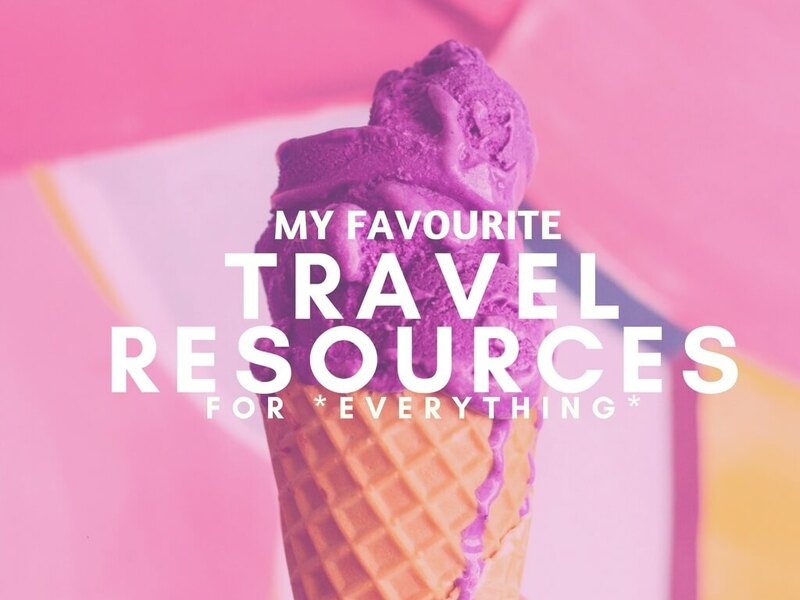 I have all my favourite bloggers organised into categories like ‘new travel bloggers’, ‘travel blogger friends’, ‘money advice’, ‘blogging advice’ and can keep up and read up on my phone when I’m out and about. Store your Feedly up with the right blogs and bloggers and you can stay knowledgeable without spending a penny. You can add me on Feedly here. I like Feedly better than Bloglovin, but if you prefer the Bloglovin interface, add me on that too :). Networking is one of the most important factors in any successful career. When I lived in London I’d go to the opening of an envelope – there seemed to be an event every week and I made many friends in the travel industry over a free drink or two. Some of them are bloggers, others work in PR, but its down to you to meet people and then to work out how you can work together. 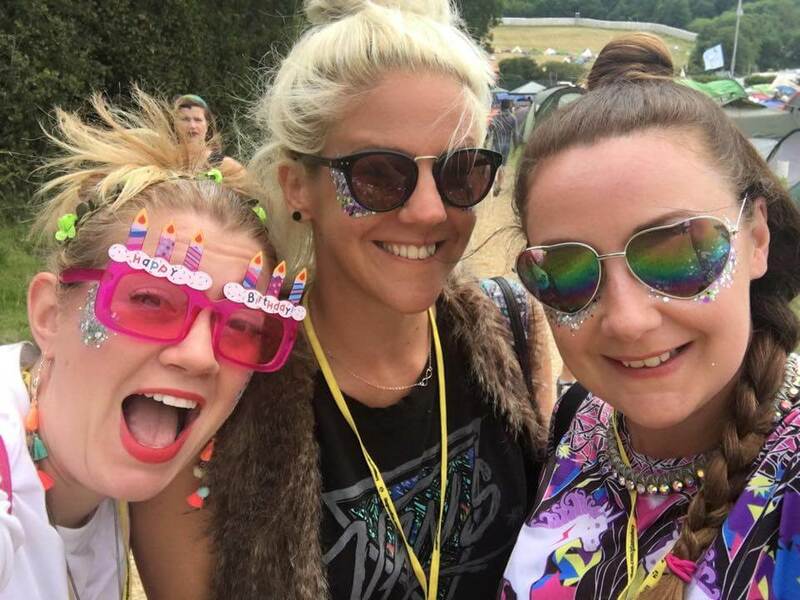 – I went to Glastonbury with Jen and Helen, two of my favourite travel bloggers. Going to my first travel blogger meet up was horrific, I was shaking and chatting absolute rubbish, but it’s also where I met many travel bloggers I’m still friends with today. After the first networking event was out of the way though, every time I’d go to an event I’d pick up another friend or useful contact. Networking in the right circles is how I found out about the job going at Gap Year (with a £9k pay rise and incredible travel perks! ), and many of the freelance jobs I’ve taken up ever since. I didn’t win this job on the lottery guys, I worked hard for it, identified and sought out opportunities, and maybe even created them when they weren’t there. That’s on top of studying communications and journalism for over ten years. Luck is where preparation and opportunity meet so they say. So, what I’m saying is, you need to identify the opportunities in travel blogging where your work history and skill fit best, and get involved. I can’t tell you how to do this, because I don’t know what’s specific to you, but if you see an opening where you think little old you would be the perfect fit, it’s down to you to work out how to get in there. Don’t be shy, you never know what it might lead to. My two internet jobs have been at HostelBookers.com and GapYear.com. 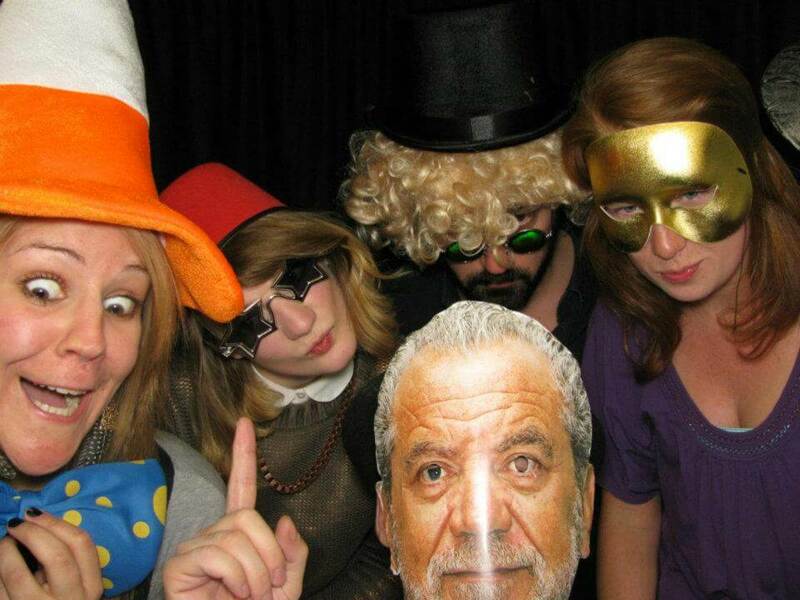 I’m still good friends with most of the people I worked with at both, and left on good terms. Before I left Gap Year, knowing I was going freelance, I pitched to them to carry on working on a freelance basis to fill some of the gaps in our working. They said yes and for the past three years I’ve been working for them in a few different ways. This monthly income has been an amazing comfort as I’ve travelled. As someone who’s actually worked for the company for a good period of time you’re totally invaluable, and it’s great for your colleagues to be able to hire someone they trust too. – The HostelBookers crew, we had fun, honest! The people I worked with at HostelBookers were very entrepreneurial and some have gone on to set up their own businesses. I’ve helped a few of them with blog posts, website reviews and newsletter output. They know they can come to me and get quality work in return. 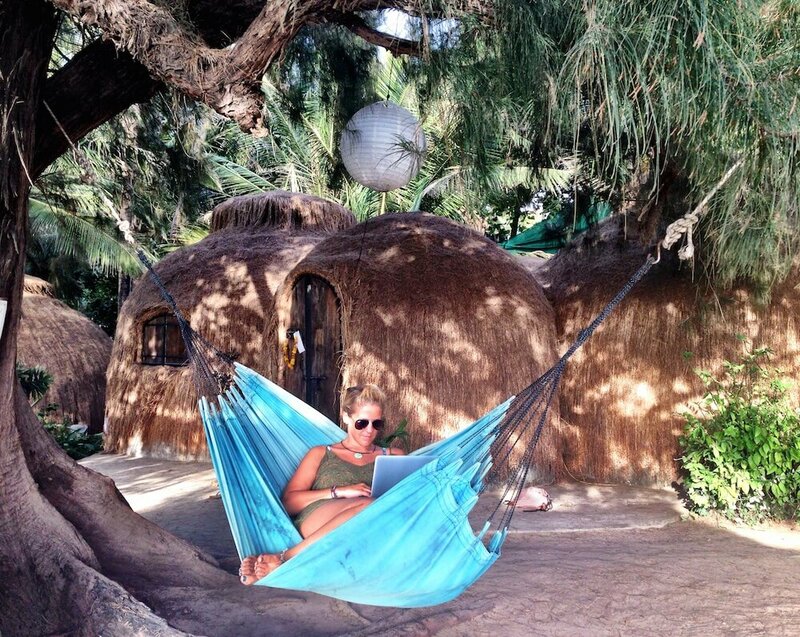 Travel blogging can be a lonesome job, especially if you’re a solo travel blogger like moi. Sitting in cafes working away doesn’t make you any friends. Since I stopped travelling so much there have definitely been times when I’ve wished I’ve had colleagues, and then I remember I do. They’re just virtual. Some of my best friends are travel bloggers and it means I can see them around the world, talk during the day online, and we can recommend each other for work and jobs. We can also meet up and co work now and then too (when I’m in London that is). Also, in Portsmouth I’ve started to go to freelancer and blogger meet ups, and you just never know where the connections you make at these things could take you. 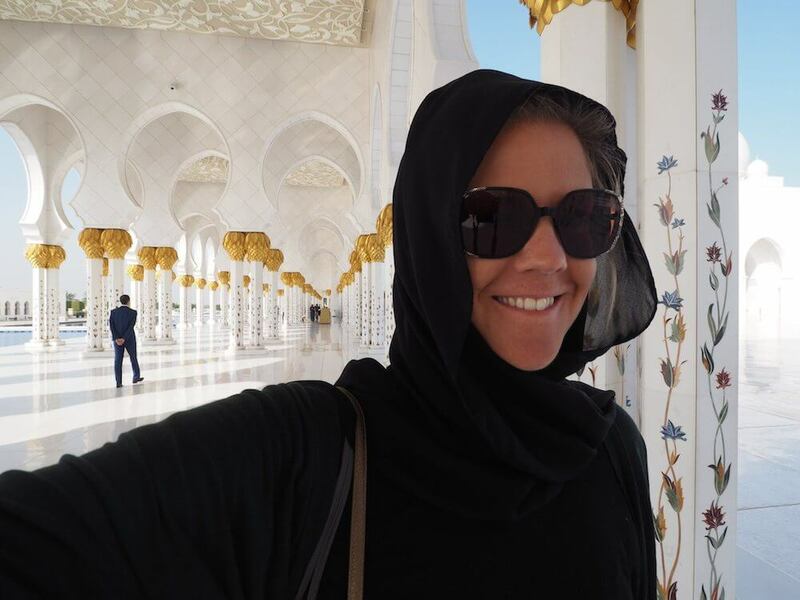 My travel blogger friends inspire me, educate me and support me. I definitely wouldn’t still be full time travel blogger if it wasn’t for them. 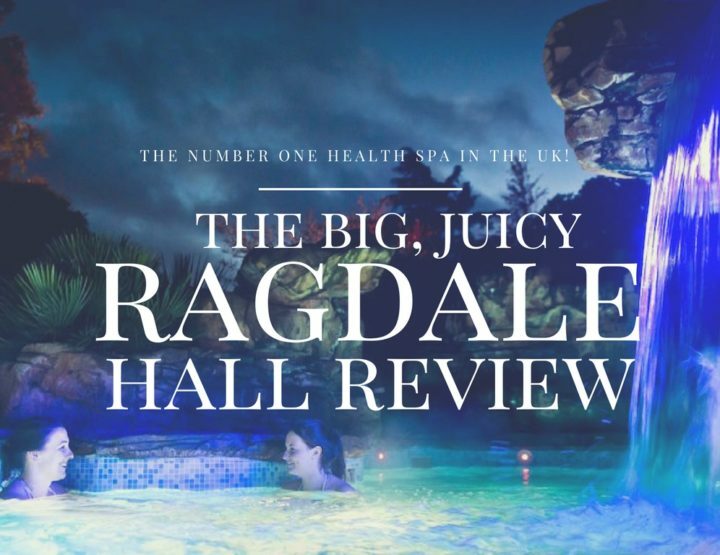 As a travel blogger, if you’re recommending a hotel or flight or a particular item to take to a festival then you might as well make a few % out of what your tried and tested recommendation to invest back into exploring more. I’m signed up to Skimlinks, AWIN and Amazon affiliates and I make a few hundred a month, at absolutely no cost to the reader buying the item. How it works: when my readers click on a link to the site – like in this post on sneaking alcohol into festivals – Amazon registers the IP address of the user, and then if they buy anything within 24 hours I will get a commission. All the pennies add up! I haven’t used every product I’ve recommended on my blog – but if I haven’t, then I will always make sure they’re well reviewed by people who actually have. You can find out more on my disclosure page. I would love to be able to run my blog without an ad in sight, but it’s impossible. Good on any blogger that can. Unfortunately advertising is one of the biggest ways to make money, in the world. Mum says they look bad, I’ve turned it down to the lowest display setting, but since running these Mediavine ads on my site (look a few paras below or above and you’ll see one), I’m making a few extra $$ per month. I hope you find them relevant and it doesn’t ruin your experience, but I need to make money so I can keep providing useful content and travelling. Mediavine assure me they’re only showing you ones that will be useful to you, but let me know otherwise. If you’ve been working with AdSense, I’d definitely recommend switching over to Mediavine. 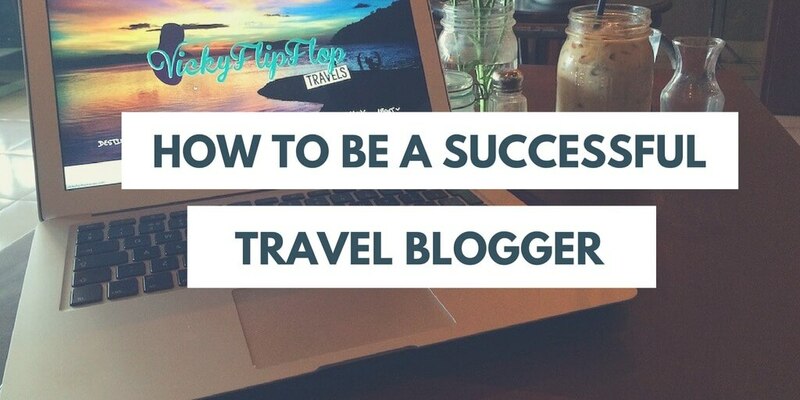 There are many, many skills to master in travel blogging, so you need to choose your weapon. I really enjoy making videos, even though I don’t really know what I’m doing. If you watch the progression of my YouTube videos I think you can see that I’m slowly getting better. Through watching other travel bloggers and lifestyle bloggers, and working out through trial and error the kind of videos I’m comfortable making, I’ve managed to improve. More readers are turning into viewers and I enjoy showing off destinations on screen. I’m at my desk at 8:30am most mornings, working. I’ve done the social media scroll lying in bed and so now it’s time to actually get stuck in to working. It might not look like there’s a lot to do on a blog but there’s a huge amount that goes on behind the scenes. Even just working through emails can take ages. Right now I definitely do at least the 40 hour work week, but then some weeks I’ll only do a few hours at my desk and the rest will be spent exploring. Even if I don’t really feel like going to a particular event, or meeting, I don’t want to get in trouble with the boss, so I go anyway. I’ve no doubt that with over five years of travel blogging I’ve made some mistakes along the way. I’ve said yes when I shouldn’t, no when I shouldn’t, and I’ve missed out on some incredible opportunities. I have a good work ethic though and I’ve tried to maintain a good reputation in the industry. I’ve never missed a deadline, I work hard, and I always try to under promise and over deliver. When I worked at HostelBookers and Gap Year I worked with travel bloggers who gave the industry a bad name. They’d hand in promised articles late, wouldn’t write what was agreed and were just rude. I’ve been on press trips where I can’t believe how other travel bloggers have behaved, and I’ve heard from PRs about others with a bad reputation in the industry. 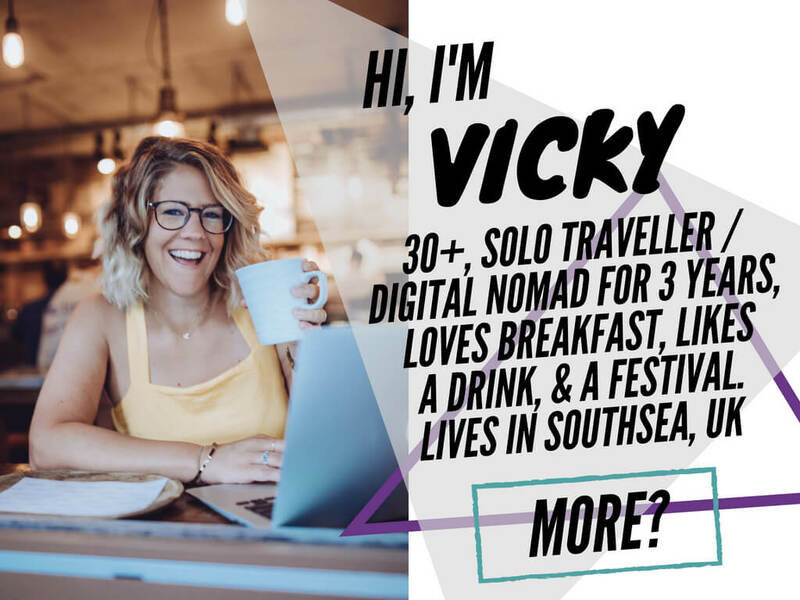 As a travel blogger out in the world you’re representing yourself and in this ridiculously over saturated market, if you’re not someone people enjoy working with, then they’re not going to work with you. Professional travel blogging is built on reputation, so be careful. There’s some crazy stat about how people set up blogs every day. I won’t find it, it’s probably not right anyway. 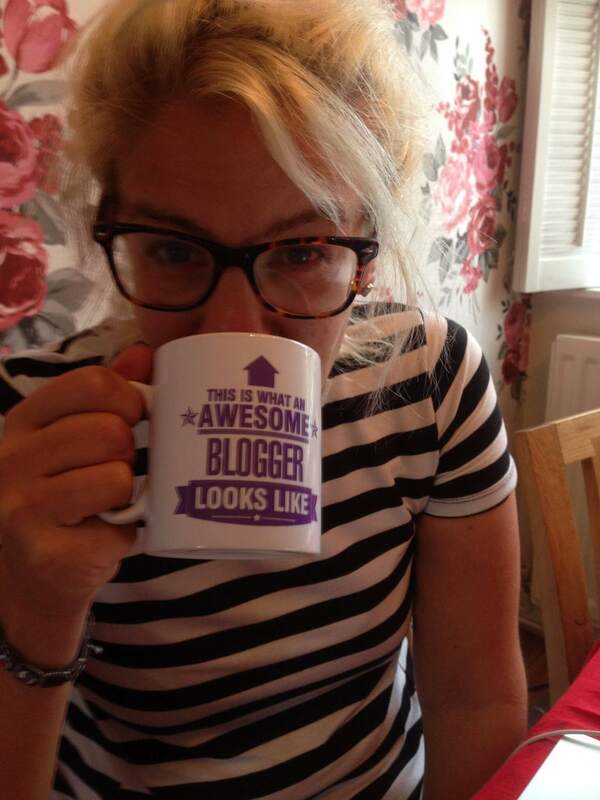 But I think we can agree that there are a huge amount of unloved blogs out there. 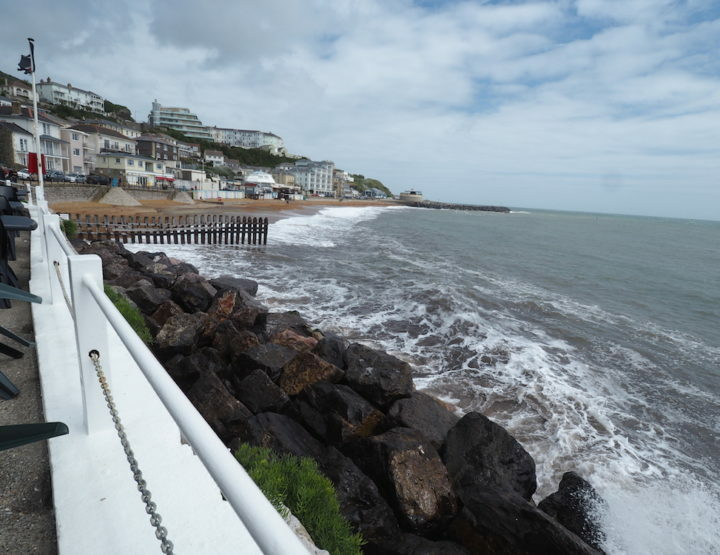 The thing is with travel blogging for a job – it all looks like great fun and an easy few quid, but it’s not. One of the hardest parts is actually sticking with updating it and all the effort that’s required to keep it going. I’ve stuck with it now for five and a half years and I can’t imagine ever stopping, no matter what happens. I’m in it till the end! Love this flippers. Lots of fabulous advice! I particuarly like the 'turning up' which I am getting much better at! Officially now an early riser! Did you know it was my birthday when that photo of me was taken??? hahahaha! Thanks Jen. Oh really? Didn't realise. Sorry, you should've mentioned. Oh, I’d totally recommend reading that book. Essential reading for anyone who wants to be more productive and efficient – I should probably read it again now actually. Now that I’m a few years down the line.